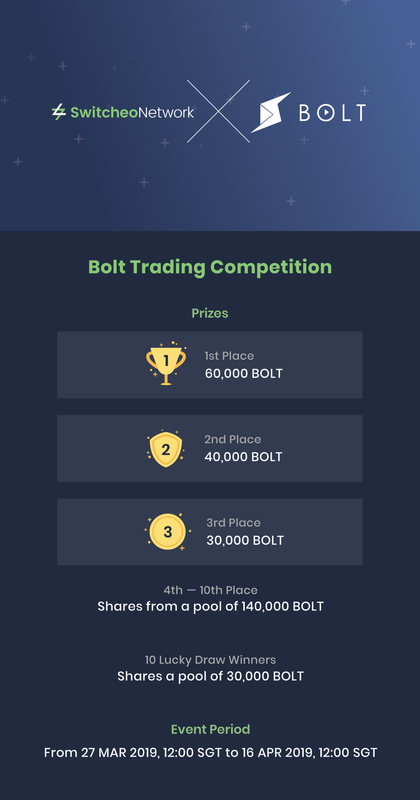 Bolt Twitter Campaign & Trading Competition — 400,000 BOLT Giveaway! 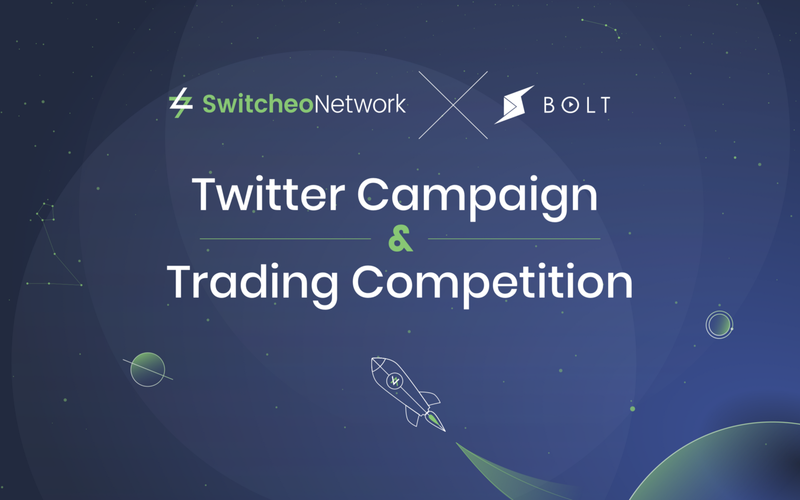 We are delighted to announce that Bolt will be hosting a Twitter campaign and trading competition with Switcheo! Read on to find out more. From 27 March, 12:00 SGT to 16 April, 12:00 SGT simply do the following and stand a chance to win from a pool of 100,000 BOLT! From 27 March to 16 April 2019, trade BOLT on Switcheo Exchange and stand a chance to win from a pool of 300,000 BOLT! Registration is required for this event. Sign up via the link below. Re-registration is not required if you have entered any previous trading competition and submitted your Ethereum address before.